It was only early this week that I was discussing how Botswana had relocated San populations to make way for safari parks and tourism. Then a couple of days later I was shocked to hear the Tanzanian government were also planning a similar eviction by removing the Maasai once again. It appears as if the dark side of safari tourism is creeping from out of the shadows. 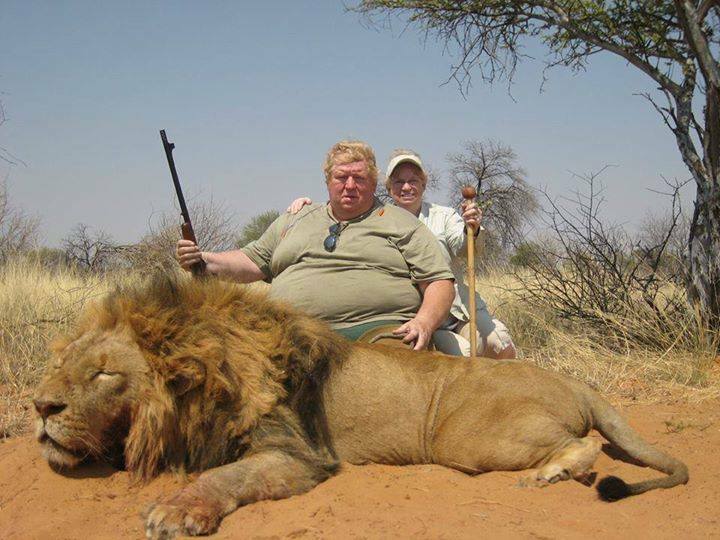 Local populations are relocated to allow tourists to enjoy what Africa has to offer, amazing wildlife views, conserved landscapes and unfortunately in this case the opportunity to hunt. But hang on one minute! I seem to be getting a little bit of deja vu… I am sure I learnt about this in my history classes. I remember seeing images like the one below, something about the occupation and exploitation of lands and unequal powers. Is the relocation of the Maasai just modern day colonialism with a twist? It does have similar property’s; outside nations move in to occupy the lands so they can have their fun and do a spot of hunting. However, this time the country is actually supporting the colonialists by removing the Maasai in preparation of their arrival. Of course, colonialism was actually one of the earliest forms of tourism and images like the above where not uncommon. However, as time moved on things have supposedly changed. Ideals like equality have moved in and colonial behaviors have moved out. 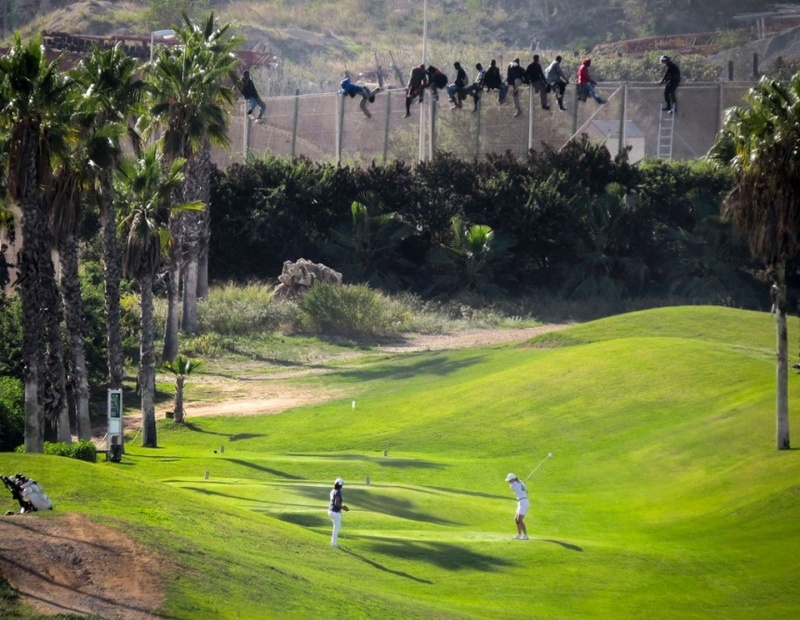 But upon seeing the image of African migrants attempting to climb the fence into Spain’s north African enclave of Melilla, I started to have my suspicions. Has colonialism ever really left us? Historically, conservation hasn’t been all that pretty in Tanzania, often lead by a ‘animals come first’ approach. Tanzania was once colonial Britain and a popular hunting spot. Eventually lion numbers fell and the hunters were forced to become conservationists and a protected area around the animals was formed. However, the Maasai grazed their cattle on the same land and of course, animals and the Maasai could never live side by side like they had done for centuries. The masaai had to go, they were evicted in 1959 to form the Serengeti National Park. Today history seems to be repeating itself and conservation approaches don’t seem to have changed. The San in Botswana were removed to form reserves for safaris and now the Maasai in Tanzania are being moved once again. 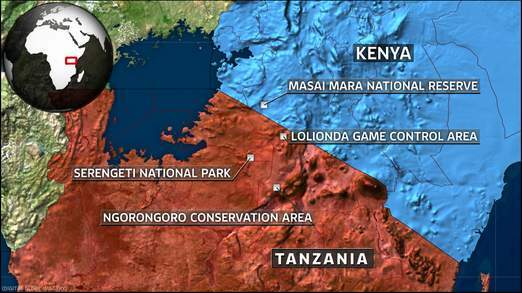 The proposed national park in Tanzania will be designated as a ‘wildlife corridor’ running alongside the Serengeti National Park to in the Loliondo area. The eviction is all in the name of conservation as the Tanzanian government states ‘There is no government in the world that can just let an area so important to conservation to be wasted away by overgrazing’. 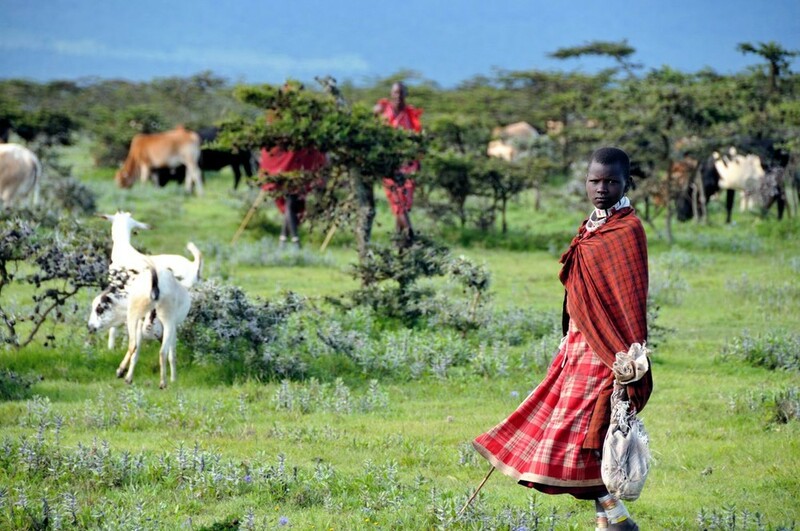 The area in question is Loliondo, an area important to highland grazing during the dry season and according to Tanzania’s Village Land Act legally owned by the Maasai. Once the ‘wildlife corridor is established access will be granted to the Ortello Business Corporation (OBC), a mysterious tour agent (I cant find their website anywhere) specializing in organising luxury hunting safaris for royalty from the United Arab Emirates. However, a ‘wildlife corridor’ is supposed to be an area of land allowing animals to safely pass through human occupation. If hunters are allowed to shot passing animals then I am not sure if this can be named a wildlife corridor. Its important to note here that in Masai culture it is forbidden to eat wild game and I don’t think I’m sticking my neck on the line here by saying, I believe Masai will probably live alongside wildlife more harmoniously than a hunting safari company! The culture geographer Benjamin Gardner has even suggested that ‘The way the Maasai manage the range actually encourages wildlife‘ and did for centuries before colonialism. But of course economic issues in Tanzania prevent things from being so simple with the Tanzanian president, Jakaya Kikwete, to say that ‘living a nomadic life is not productive’. Hunting tourism can bring a lot to the local economy and can strangely be used within the same sentence as conservation. To gather more cash the African governments have given access and control over large areas of land to private tourism companies like OBC and Thomson Safaris who do not want to share with pastoralists leading to continued tensions. But if I had two images that I would take from a trip to Tanzania, I know which one I would prefer. Attempts to create national parks and reserves, to mend the damage to animal populations is still not working and endangered species are increasingly becoming more endangered. There will be 40,000 Maasai pastoralists removed from the land preventing them from continuing their traditional ways of life of nomadic cattle-herding. As they are condensed into small areas, then yes I am sure there will be over grazing but I am also sure this is not the fault of the Maasai and thus they should not be condemned for it. As dependents on the land, the Maasai would be better stewards to the area and perhaps we should rethink colonial forms of conservation. It would be very hypocritical if Tanzania were to continue to use the Masaai as their pin up whilst kicking them out. Sign this petition to prevent the Maasai’s land from being sold off. ← Who’s Talking About Responsible Tourism?